Three mass immunization rounds have been carried out in Deir Ez-Zor and Raqqa governorates, Syria, in response to an outbreak of circulating vaccine-derived poliovirus type-2 (cVDPV2). The latest round, targeting resident, refugee and internally displaced children less than five years in Deir Ez-Zor concluded 28 August. 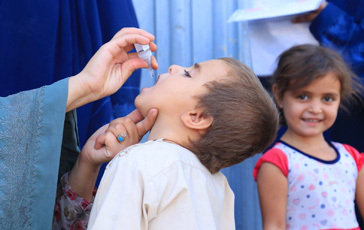 “The detection of circulating vaccine-derived poliovirus indicates that there has been low population immunity in affected areas for a considerable period of time,” said Chris Maher, manager of WHO’s regional polio eradication programme based in Amman, Jordan. “WHO is working with all parties on the ground to ensure access to and vaccination of all children under five in these areas, to put an end to this outbreak as quickly as possible,” he said. As of the end of August, 39 cases of cVDPV2 have been confirmed in Syria ‒ 37 cases from Deir Ez-Zor governorate, and 1 case each from Raqqa and Homs governorates. All three governorates are affected by active conflict. 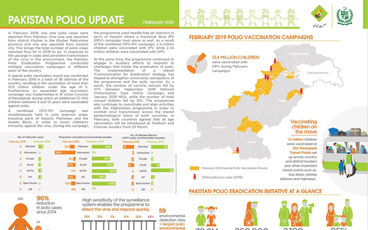 “Conflict and inaccessibility continue to hamper efforts to raise population immunity levels in areas across the country. These same factors that paved the way for the outbreak of wild poliovirus in Syria in 2013,” said Maher. 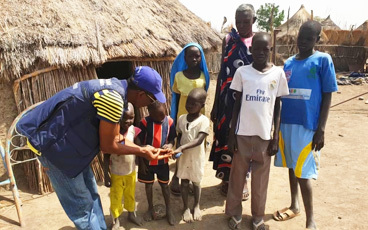 “We are using the same approaches to achieving access that were successfully used in responding to the 2013 outbreak, and working together with all partners to make sure that children can be reached with vaccine,” he added. 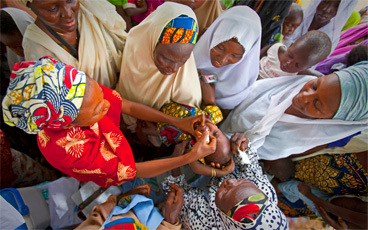 In addition to ensuring access for vaccination teams, innovative methods have been used to increase response reach and effectiveness. The advertising of campaigns through bakeries, and engagement of a local ice cream factory to assist with the daily freezing and refreezing of ice packs for vaccinator cold boxes, are examples. 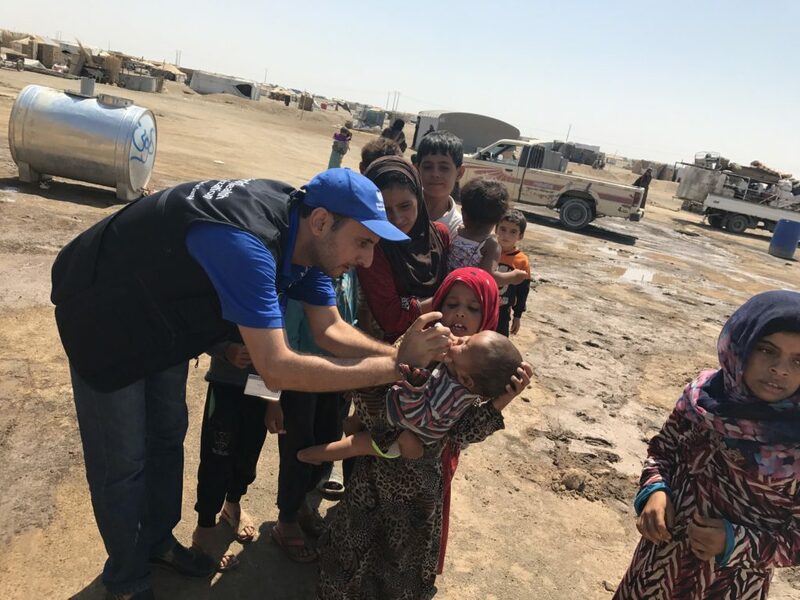 “Vaccinators on the ground in Deir Ez-Zor and Raqqa continue to face difficult circumstances, but their efforts show clear dedication to protect children against this preventable disease,” said Maher. “We must maintain this high level of commitment and drive,” he said. Deir Ez-Zor has carried out two mass immunization rounds in July and August while Raqqa has carried out one. The second round for Raqqa is planned for after the Eid holiday. 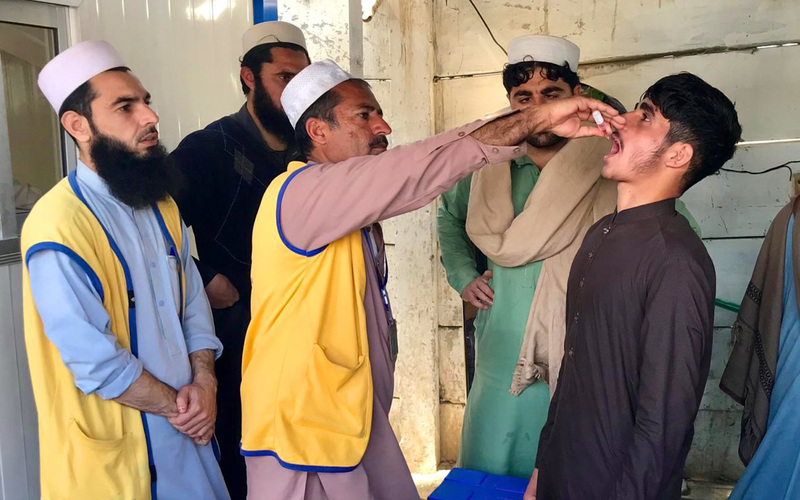 Inactivated polio vaccine (IPV) is being given to targeted children in each of the second rounds along with the oral vaccine to maximize individual and community protection. “These local polio vaccination campaigns represent a significant step that has culminated in the close cooperation between WHO, UNICEF and local health partners to reach all targeted children under five in Ar-Raqqa and Deir Ez-Zor governorates,” said Elizabeth Hoff, WHO Representative in Syria. “Despite security challenges, WHO is committed to ensure the distribution of polio vaccines and the implementation of the local campaigns as planned with a view to achieving sound wellbeing and growth for children with a special attention given to the affected governorates,” Hoff added. 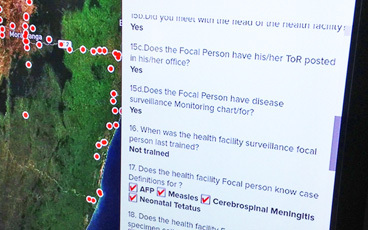 In addition to supporting the response, WHO and partners are also working with neighboring countries to enhance immunization and disease surveillance activities in high-risk areas. Circulating vaccine-derived poliovirus can occur in rare instances when population immunity against polio is very low. In these settings, the weakened virus found in the oral polio vaccine can spread between under-immunized individuals and over time, mutate into a virulent form that can cause paralysis. The only way to stop transmission of vaccine-derived poliovirus is with an immunization response, the same as with any outbreak of wild polio. With high levels of population immunity, the virus will no longer be able to survive and the outbreak will come to a close.